Image: Federal or Greek Revival style house with Victorian enrichments, including a fine porch, Note the scale of the house in relation to the people on the porch. 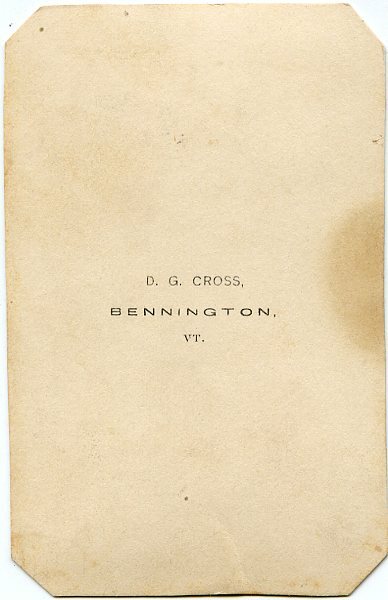 Bennington, Vermont, photographer, circa 1865-1870. Private collection. 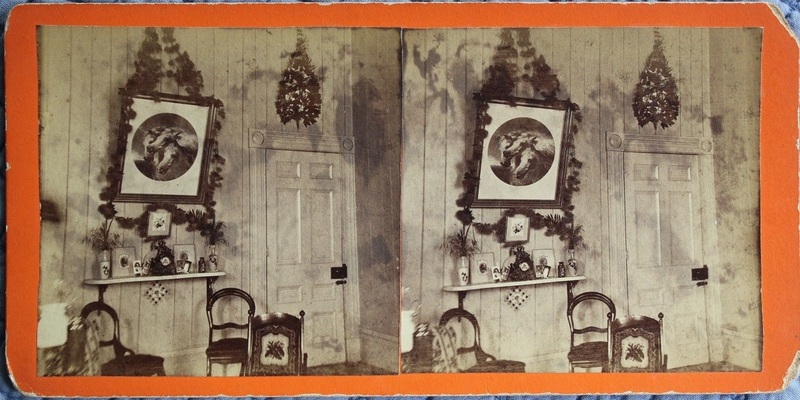 Image: Plank-walled parlor interior, with a wall shelf, dried plants and sentimental ornaments. The shelf appears to have taken the place of a mantle shelf above a fire place or stove, so this may be the interior of a summer cottage, where heat wasn't needed. The furniture, out-of-fashion for the date of the photograph, adds to the impression of a vacation home. Possibly a cottage on the Massachusetts coast. 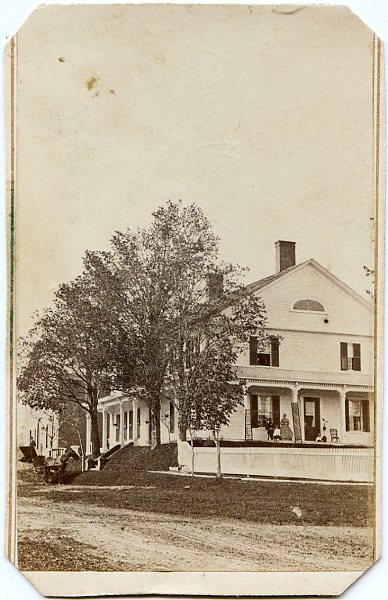 Frank Lawrence of Worcester, Massachusetts, was the photographer for this stereocard, dated 1878. Private collection.